Volker Schmitz-Fohrmann’s practice focuses on clearance searches and strategic advice regarding the development, maintenance and enforcement of trademark portfolios. He also has an important litigation practice in trademark design and unfair competition matters. Further, he handles anti-counterfeiting work for his clients, which include German medium-sized companies as well as multinational corporations. 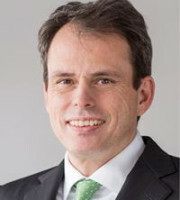 Mr Schmitz-Fohrmann studied law at the University of Munich, the European Institute of the University of Geneva and St John’s College, University of Oxford. He worked as a research associate at the Humboldt University of Berlin where, as a scholarship holder, he obtained his doctorate working on the effects of the free movement of goods on German unfair competition law. Mr Schmitz-Fohrmann regularly gives presentations on German trademark law in Germany and abroad and is a lecturer at the University of Applied Sciences, Munich. He is co-author of the Manual of Intellectual Property of the Internet, Fromm/Nordemann: Commentary on German Copyright Act, as well as Götting/Nordemann: Commentary on German Act against Unfair Competition. The JUVE Manual 2018/2019 recommended Mr Schmitz-Fohrmann in the Trademark and Competition Law category. He is also listed as a recommended trademark lawyer by Who’s Who Legal 2018.